NEWS FLASH! BIGFOOT FORUMS TO RELAUNCH. Will it be a BFF Zombie, or a New Thing? BIGFOOT'S BLOG NEWS FLASH!... with another Update, below. Just in today, only one day after the BFF/Bigfoot Forums was shut down "indefinitely" by its founder, Brian Brown/"Bipto," it is now being leaked that the site will be revived! BIGFOOT FORUMS/BFF RESURRECTION! It died one day, then revived the next! Will it be a brain-eating zombie, or something new? What will they do to clear out all the old problems and problematic characters??? Will RedWolf, MasterBarber, BlackDog and Teresa still remain? Will they be tolerated even when they abuse the Forum and its members? Will their antics just overwhelm the site, however new and revamped? We shall see. This is all stranger, even, than Bigfoot. The notice was posted by THE BIGFOOT SHOW on its Facebook page today. A new logo, a new attitude, a new web server, and a new administration are in the works. 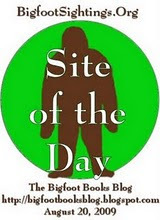 "There are plans in the works to relaunch the Bigfoot Forums as an all-new website. 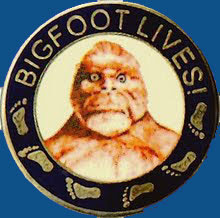 To be kept up to date, "like" the new Bigfoot Forums page on Facebook." BigfootForums.com: "Get ready for the re-launch of bigfootforums.com - a new home, new administration, new format, new attitude. In the meantime, 'like' this page and we can keep you up-to-date on our progress. Hopefully the new website will be up and running in a couple of weeks and ready for new registration. 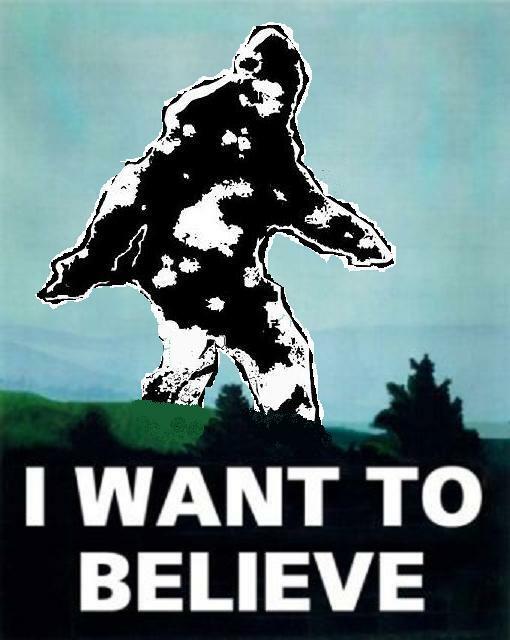 There are people busy working behind the scenes to make this happen for the benefit of the bigfoot community." No further news or information is being put forth as yet, but we will be inquiring on our readers' behalf, and hope to have all the updates for you ASAP when they become available. Let us hope for the best! Apparently the Founder has found someone else to take this task from his hands, as it was previously rumored that he wanted to do. We wish Brian Brown well, whatever he does, and whether or not he is involved with this new version of the BFF. And we DO indeed sincerely hope that he will continue to do THE BIGFOOT SHOW, the best (or at least the funniest) Sasquatch-related podcast show on the internet. HERE, or find them in the side links to the left of this page. There is a thread on the skeptical JREF FORUM (James Randi Educational Foundation) dealing with the BFF Meltdown, featuring many of the former BFF characters, moderators and administrators. CHECK IT OUT HERE! Be sure to read all the way to page four there. You will see the words of RedWolf, Paul Vella, Brian Brown (Bipto) and others. Fascinating. News in precis: Paul Vella, former Chief Admin., is helping get the BFF set up, with all of its former content, on a new server, with new owners. He will NOT be staying on as an authority figure on the site. Apparently all new registrations will be required for users, and those formerly banned will have a chance to return. This could be a fresh, new start; and those involved are asking that a new attitude of fairness, peace and human kindness prevail. Of course, skepticism of this possibility abouds! The whole thread is quite revealing of the BFF characters, good, bad, and sometimes kinda ugly. Read Bipto/Brian Brown's recent post HERE. "When the website re-opens, all existing members will need to re-register - registration will be open to all, including those who have previously been banned. If you have existing grudges with other members or the old administration, leave them at the door please, this is going to be a fresh start for BFF, and we hope, for the entire bigfoot community." The BIGFOOT'S BLOG NEWS FLASH SERIES will be part of our never-ending struggle to be concise and pertinent to the news of the day, not just long-term philosophical quandaries. Look for these from now on to appear on this blog. One might also become a "fan/friend" our our BIGFOOT'S BLOG FACEBOOK PAGE to get even more urgent and excruciatingly crucial information on a daily, sometimes hourly, sometimes way-too-often basis. This blog copyright, save for "fair use" materials, 2003-2010, Bigfoot Books and Steven Streufert. Please cite the blog's main page with a link if quoting or borrowing. Thanks!